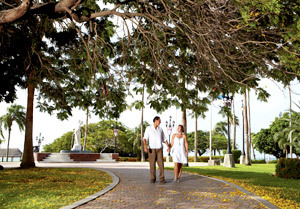 Aruba attractions take sightseeing outdoors! In Aruba, nature’s bounty takes center stage as land and water features make up some of the most unique Aruba attractions. Aruba is famous for spectacular sunsets and its location near the tropical latitude gives visitors a natural light show with every sunset. 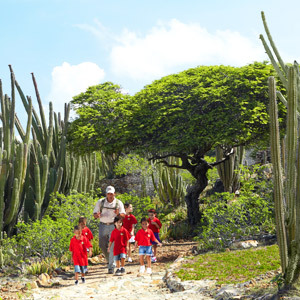 The Arikok National Park in Aruba offers a spot of protected paradise right in the center of the island. Occupying more than twenty percent of Aruba’s area, Arikok National Park encompasses a large part of the interior of the island and the north coast. Arikok National Park features over twenty one miles of established hiking trails which travel past Aruba’s most important natural resources and historical landmarks. See aged Arawak petroglyphs and the remains of an early Dutch settlement. Expect to see the divi-divi tree, one of Aruba’s native trees, as well as plenty of tropical flowers and cacti. Your clients will also see most of Aruba’s natural wildlife along the trails including the Kododo Blauw lizard, various species of iguanas, goats and donkeys. 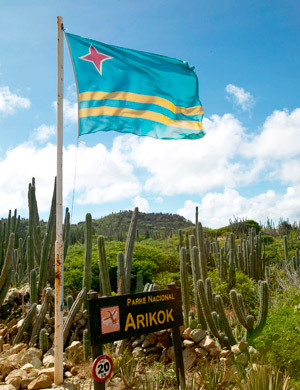 Land features throughout Arikok National Park include Aruba’s biggest landmass, Mount Jamanota. See the circle of life at the Butterfly Farm, located on Palm Beach. 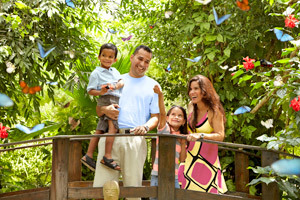 The Butterfly Farm remains one of Aruba’s most unique attractions, showcasing butterflies from around the world. Early morning visitors can expect to see new butterflies emerging from cocoons! The Butterfly Farm is open every day of the year and is great for visitors of all ages. 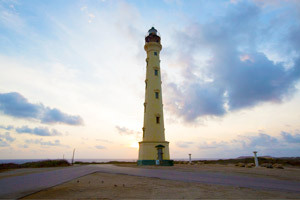 The California Lighthouse is one of Aruba’s most recognizable landmarks. The California Lighthouse is named after the famous shipwreck of the “California,” just off shore the island. Visitors flock to this landmark for sweeping views of the Aruba coastline. The restaurant situated near there makes the experience more memorable. 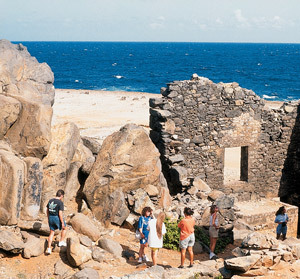 Explore the ruins of historic abandoned gold mines in Aruba. The name Aruba came from the words Oro Ruba, which means red gold. Explorers in the 1500’s harvested gems and minerals throughout the Caribbean, and Aruba became known as an island of hidden gold. Gold was eventually found in the 1800’s and Aruba became one of the world’s leading producers of oro. Visit the ruins of two different gold mines – the Bushiribana and Balashi – and see pieces of history up close. 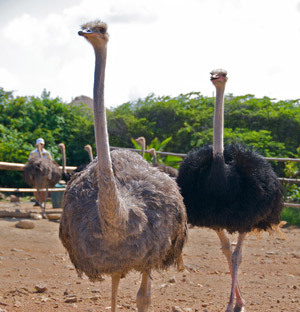 The Aruba Ostrich Farm is one of the most unique attractions on the island. Aruba’s temperate climate and rough natural terrain provide ideal living conditions for this distinctive bird. Observe their fun lifestyle in the Aruba interior and explore everything about the ostrich, from their dusty feathers to the enormous eggs. Take a tour of the ostrich farm or try feeding one! 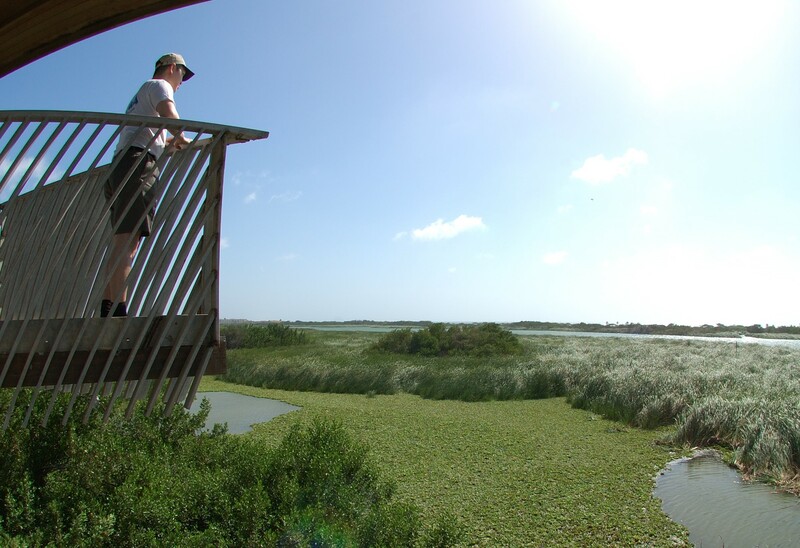 The Bubali Bird Ponds of Aruba have become home to more than 80 species of migratory birds. Lush foliage and vegetation and a dry climate make Aruba a bird’s paradise and birder’s treat! Commonly known on the island as the Bird Sanctuary, the lakes feature an observation tower to get the best view. Some of the birds found at the Bubali Bird Ponds are egrets, gulls, skimmers, coots and cormorants. Wilhelmina Park was created in 1955 in honor of Queen Juliana and Prince Bernhard of the Netherlands. Visit Wilhelmina Park during the late summer when the tropical foliage is in bloom. Wilhelmina Park features a marble sculpture of Wilhelmina, the queen mother, created by Arnoldo Lualdi of Italy.